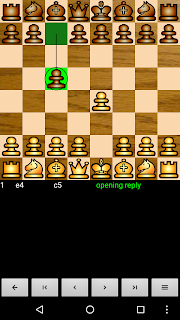 Bryan Whitby, who contacted me earlier to tell about very cool USB chess board projects, contacted me recently with a very generous offer to use his awesome chess graphics in Chess for Android. I am very thankful, since these graphics look really good, and combine well with the various board types already supported. So, expect an updated on Android Play and my website really soon! And, thank you Bryan!